At age eleven, Bow Wow met record producer Jermaine Dupri, who subsequently helped to shaped the young man’s career. At age 13, in 2000, Bow Wow debuted with “Beware of Dog” under the stage name Lil’ Bow Wow. It’s debut single “Bounce With Me,” which featured group Xscape, was also featured on the film “Big Momma’s House.” The same single topped the Billboard Hot Rap Tracks chart and peaked at number 20 on the Hot 100. The soundtrack to the movie “Wild Wild West” featured his song “The Stick Up” with his mentor Jermaine Dupri. The RIAA certified Bow Wows debut album platinum on March 5, 2003, signifying sales of 2 million copies. Bow Wow released his second album “Doggy Bag” in 2002, with singles peaking at number one on the Hot 100 and on the Hot R&B/ Hip Hop songs chart. The album peaked at number 11 on the Billboard 200 and number 2 on the Top R&B/Hip Hop Albums chart and was certified platinum. 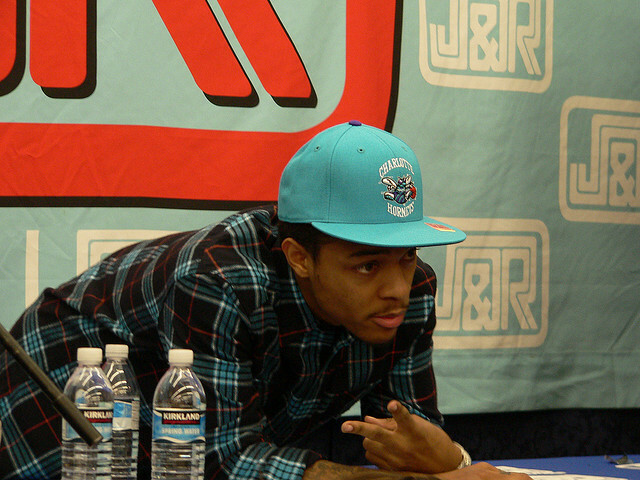 Lil’ Bow Wow performed the track “Basketball” for the soundtrack of his film “Like Mike”–the single peaked at number one on the R&B and number–25 on the rap chart. Bow Wow has appeared in numerous T.V. Shows and movies, including: The Steve Harvey Show, Like Mike, All About the Benjamins and The Johnson Family Vacation, Roll Bounce and The Fast and the Furious: Tokyo Drift. He is currently working on a film called Hurricane Season.